The track was wet and tricky at the start of the qualifying session. Lesoudier (#10 Mirabeau Viper) was quickest ahead of Lagniez (#12 Ciné Cascade Viper). 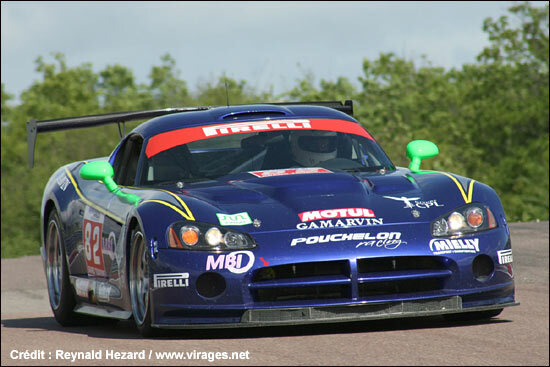 Soon, Patrick Bornhauser (#1 VBM Viper) improved on Lagniez’s lap time and was second quickest. Then he improved again and claimed the provisional pole position - but within a few minutes of the chequered flag, Lesoudier reacted and set the final pole. We need to explain here (with thanks to David Legangneux) that, since the last pair of races, the FFSA has changed the technical regulations for some of the GT1 cars (called "GT1B"). 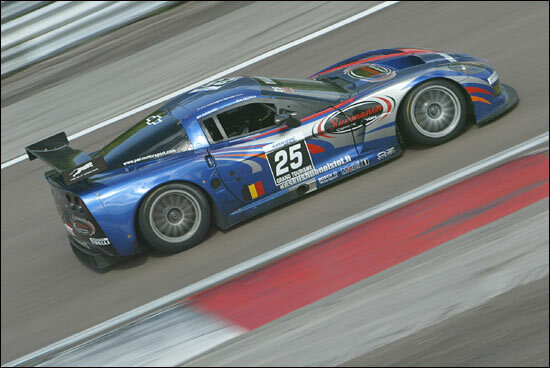 For the Chrysler Viper GTS-R, the minimum weight is reduced from 1200 to 1175 kg and the restrictor diameter is increased from 32,5 to 33,4 mm. For the Lister Storm, the minimum weight is unchanged (1150 kg), but the restrictor diameter is increased from 32,5 to 33,1 mm. For the Porsche 996 biturbo, the minimum weight is reduced from 1200 to 1160 kg and the restrictor diameter is increased from 35,7 to 36,5 mm. Behind Lesoudier and Bornhauser in the revitalised Vipers, the positions were ever changing. 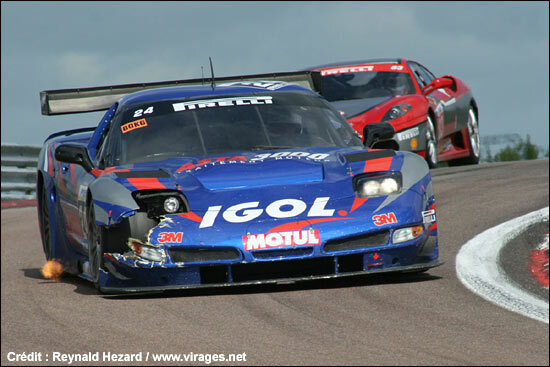 Pertti Kuismanen (#25 PSI Experience Corvette C6.R) was for a long time third quickest, but Jean-Claude Police (#22 CD Sport Viper) improved, ahead of the PSI Corvette. So, three Vipers were suddenly at the top of the times. Balthazard (#2 Larbre Compétition Ferrari 550 Maranello) could do no better than 26th fastest, with a car that was difficult to control in the rain. The French Cup and GT2 Trophy entrants also started in the rain, and the session was soon red flagged, Lacroix Wasover (#81 Pouchelon Racing Dodge Viper GT3) having an off in the Pouas curve. François Jakubowski (#84 Modena Racing Motors Ferrari 430 Challenge), who had been quickest before the red flag, improved and set the pole in the French Cup, ahead of Julien Rodrigues (#77 Hexis Racing Porsche 996 Cup). In the GT2 Trophy, Claude Monteiro (#37 Estoril Racing Porsche 996 RSR) was quickest ahead of Michel Lecourt (IMSA-MATMUT Porsche 996 RSR). 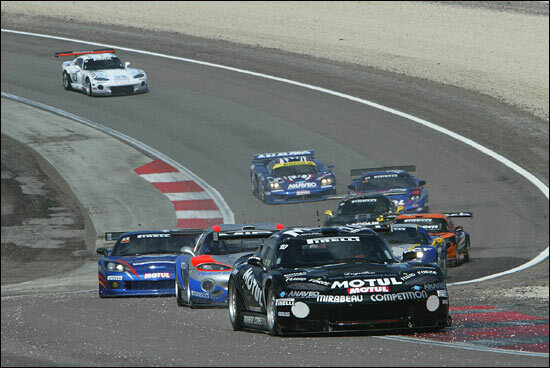 Gaël Lesoudier, on the pole, made the best start, ahead of Bornhauser, Kuismanen, Dubreuil (#23 CD Sport Viper), Soave (#26 SRT C5-R) and Peyroles (#5 First Racing Viper). The black #10 Mirabeau Viper quickly opened up a gap upon its rivals. Then the safety car appeared, owing to a puncture for the Monteiro brothers’ Porsche and an off for Jean-Luc Blanchemain, following a contact with a slower car. At the restart, Lesoudier was still in the lead ahead of Bornhauser, Kuismanen and Hallyday (#24 PSI C5-R). When the leaders pitted for the driver changes, Kuismanen stayed on the track for one more lap. 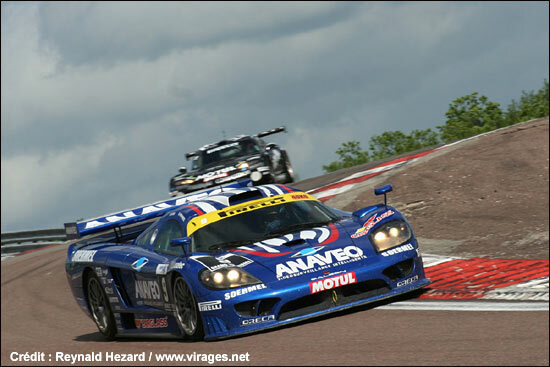 After the driver changes, Alliot (in the repaired #24 PSI C5-R) was leading ahead of Beltoise (#10 Viper), Thévenin (#1 Viper), Ayari (#9 ANAVEO Oreca Saleen) and Palttala (#25 C6.R). The former F1 driver was passed, in traffic by Beltoise, for the race lead: the Vipers have certainly found their legs again. Alliot then made contact with a backmarker and had to retire. But at the wheel of the Saleen, Ayari was flying, and passed Thévenin after a good battle. He was charging after Beltoise but the race was yellow-flagged again and the safety car made its second appearance, because Rabineau’s Viper (#23) was stopped on the track, with Cholley’s Ferrari 430 Challenge similarly stationary. At the new restart, there were ten minutes to go. 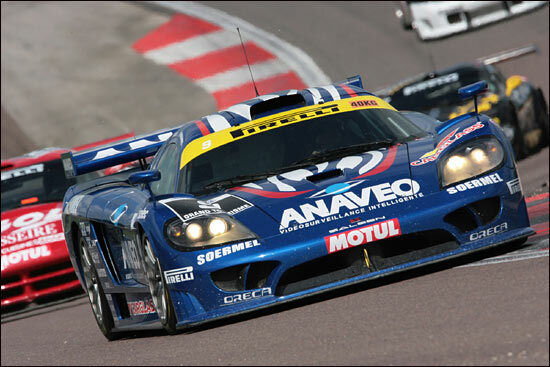 One lap later, Ayari passed Beltoise and took the lead – so another win for the ORECA Saleen. 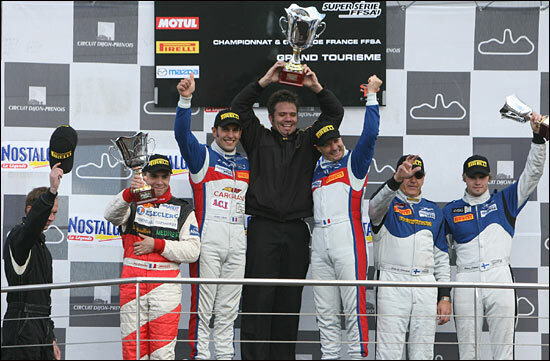 Palttala grabbed the last podium spot, overtaking Thévenin in the late stages. 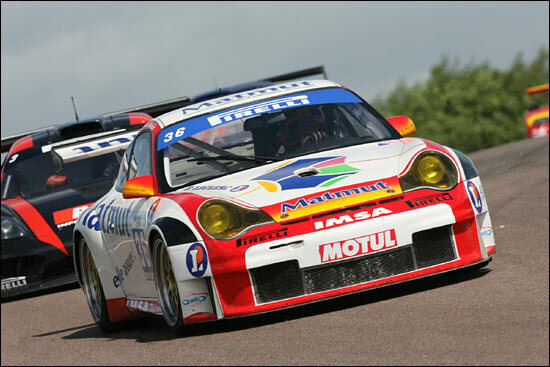 In the GT2 Trophy, Michel Lecourt (IMSA Porsche RSR) stayed behind Claude Monteiro (Estoril Porsche RSR) before overtaking him for the lead. But when Monteiro suffered a puncture, Michel Lecourt and Raymond Narac, his partner, were easy winners. 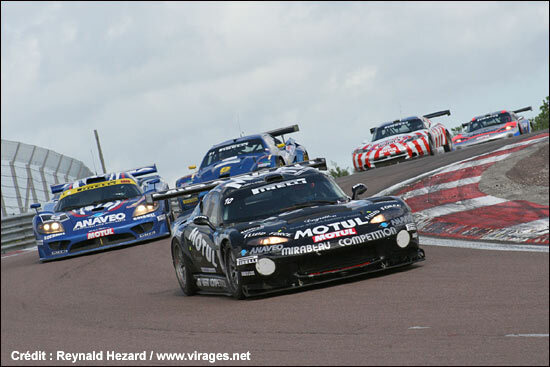 In the French Cup, it was a first win for Gilles Gaignault’s Pouchelon Racing and Vannelet / Rousseau (Dodge Viper GT3), ahead of Jakubowski (Ferrari 430 Challenge) and the Rodrigues brothers (Porsche 996 Cup). Soheil Ayari: "When I took over from Bruno, all leaders were in the pits and so we started again all together, which was a bit confused. I asked several times over the radio about my position but I couldn’t get any answer. I pushed really hard on my first lap and I passed several cars. It wasn’t easy but it was nice! When you start from the 13th position, you scarcely thinking of winning, which is most important for the championship. The Corvette and Ferrari drivers reamain our tougher contenders, but the Vipers are back. So the races will still be very competitive."